Scattered thunderstorms during the morning followed by occasional showers this afternoon. High 66F. Winds SW at 10 to 15 mph. Chance of rain 50%.. Considerable cloudiness with occasional rain showers. Low 43F. Winds WSW at 10 to 15 mph. Chance of rain 60%. She was born on February 20, 1943, in Richmond, Va., the only child of John Phillips and Eulalie Converse Harris Pickett. She grew up in Cedartown and enjoyed many lifelong friendships there. She went to St. Agnes boarding school in Alexandria, Va., and graduated from Cedartown High School. She attended the Medical College of Ga., but her life's work was with children, and she founded multiple Christian kindergarten programs where she taught generations of children over her 45-year career. She married Donald Neil Wilson in 1970 and they raised three children in Cedartown. She supported many missionaries and mercy ministries locally, nationally, and abroad. Never still and always talented, she began practicing her love of art in her fifties and became an accomplished watercolor and graphite portrait artist. Her work is admired in many private homes as well as the State Capitol building in Atlanta. Lea was quite the world traveler, which began as a youngster with her parents. Some of her fun memories were seeing Lena Horn in a show in Paris and seeing the Egyptian pyramids with her father. Later she enjoyed traveling far and wide with Don and her family and friends. She was baptized in the Jordan River with her daughters. Great pleasure was taken in a good beach vacation, especially to Pawley's Island, S.C., except that she seemed to attract hurricanes. She loved Polk County, her childhood home, Great Dane dogs, Black Angus cattle, and hummingbirds. She never met a snake, or any other animal for that matter, that she wasn't willing to rescue. She enjoyed gospel music and good food. She was enthusiastic, eccentric, faithful, and generous, always showing up with dinner and encouragement for a sick or grieving friend. Lea loved the Lord Jesus most of all, and, although she was well known for her inability to carry a tune, would sing at church with that exultant look on her face deep in worship of Him. She always said that Psalm 100 only required that one should make a joyful "noise" unto the Lord, and that is what she did! Eulalie was preceded in death by her parents, John and Eulalie "Honey" Pickett, and by her beloved son, John Pickett Wilson. "Polly" Green, Lillian June Green, and Michael David Green, of Alabama; and John Pickett "J.P." Wilson Jr., Sterling Lewis Wilson, and Donald Graham Wilson, of Utah. 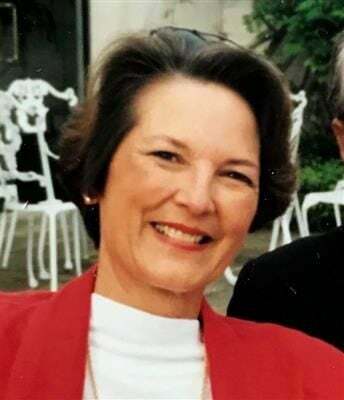 A memorial service will be held at the First United Methodist Church in Cedartown at 11 a.m. on Saturday, March 16, 2019, with visitation at 10 a.m. In lieu of flowers, please make donations to Covenant Preschool and Kindergarten, Attn: Robyn Hubbard, 346 West John Hand Road, Cedartown, Ga., 30125. Condolences can be made to the family by visiting our website at www.liteseyfh.com and signing the online guest book. The Lester Litesey Funeral Home makes this announcement for the family.